I am sorry that I couldn’t find a card for you for Father’s Day, but there are none available here on earth. 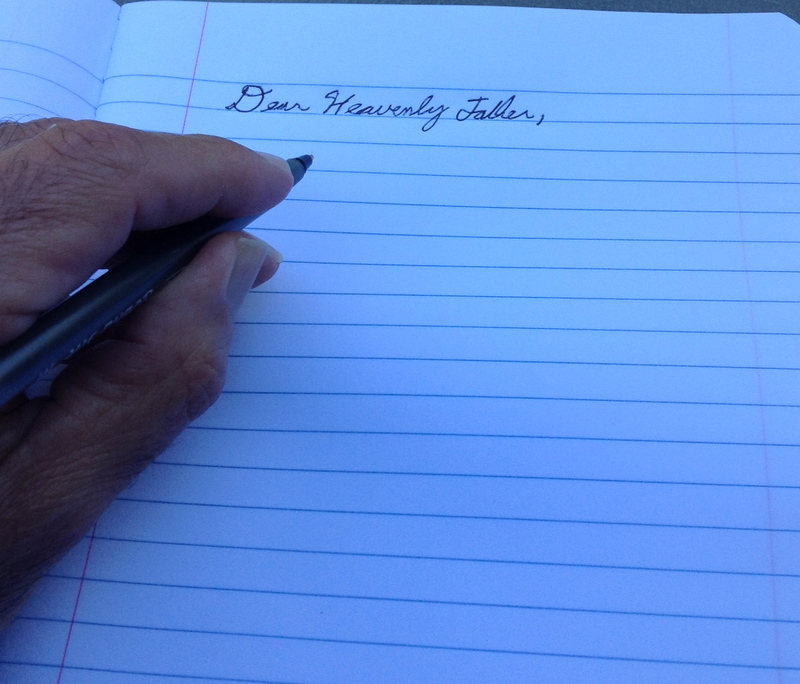 As you know, my earthly father is no longer here; so I thought it would be proper to write you a love letter of appreciation on this Father’s Day. First of all, I would like to thank you for adopting me into your family. I know that it was at a great cost for you because your Son, the Lord Jesus Christ died in my place. The amazing thing about this adoption is that there was absolutely nothing in me that made me desirable to you. After all these years, I still can’t believe that I have the privilege to call you Abba, Father! As my Heavenly Father, you have blessed my life in so many ways that it is impossible to express all that you have done in one letter. You have been so very patient with me throughout the years. Yes, I have failed you many times, and yet you continue to show me love and mercy through your forgiveness. Not only do you forgive me, but you also choose to forget every sin that I have done against you. One of the greatest gifts that you have given to me is your Word in order to teach me more about yourself. I have enjoyed learning all about you. Your Word has revealed your beauty which is evidenced in your love, faithfulness, mercy, holiness, and grace. Your Word has revealed your great power, wisdom, and majesty. In the Word, you have taught me the way that I should I go. Even when I depart from that way, you redirect me and place me back on the right path. Dear Father, thank you for being with me at all times. You have always fulfilled your promise that you will never leave me nor forsake me. In the good times, you are with me. In the difficult times you are with me. Your presence has given me strength to continue on in spite of times when I felt like quitting. I find no greater joy than taking a walk and being aware of the fact that you are walking with me. There are many times when I need to cry out to you and you always listen to me. You listen to my cries of desperation, but you also listen when I just want to say thank you for the many blessings which you have given to me. I am grateful that your ears are always open and you recognize my voice. Father, when no one else understands, you do! You know everything about me. You know my thoughts, my actions, my desires, and my attitudes. You know when I get up in the morning and you know when I go to bed. As the Psalmist writes, “Such knowledge is too wonderful for me”! For this Father’s Day, I really don’t have anything to give to you, except I want to say once again, “I love you!” Yes, it is an imperfect love, but it is all that I have to give. Again, thank you for being my Father who loves me with an everlasting love! I don’t know where I would be in this life without you.